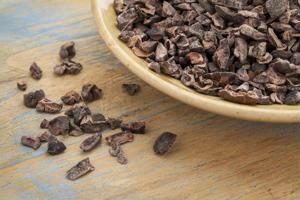 Cocoa and chocolate are very common commodities. They're found in cabinets across the globe, ready to make sumptuous and gooey confections, and in convenience stores, ready to satisfy a sweet tooth. With these prominent products, however, come many questions of how they are sourced and who is doing the labor. Even though some countries and chocolate magnates have vowed to only utilize cocoa that's been ethically farmed and collected, questions remain as to how we can feed our chocolate addiction without feeding into the harmful practices that often hit cocoa-sourcing communities. For some countries, cocoa is the main export. For farmers and laborers, each nib is worth its weight in gold, or at least in proper currency. Shipping off raw cocoa at a fair price for the massive amount of work that goes into the harvest is the difference between hungry bellies and food on the table. One of issues that the Ivory Coast has with the chocolate industry involves contracts. The Ivory Coast, responsible for 35 percent of the world's cocoa production, is urging companies to enter into long-term sourcing contracts, rather than single-year contracts, reported Confectionery News. These longer contracts are not only beneficial as a sign of good faith and partnership, but will help bolster the Ivorian economy by planning projects and developments for the future. Without secured funds for these potential commitments, the Ivory Coast and its thousands of farmers and laborers will be resigned to work longer and harder hours for a short-term goal. Problems with the manner in which cocoa collectors are treated has been a huge issue in the past. Efforts to remedy the ethical issues are in place but are still not widely used in the chocolate community. The Fairtrade Cocoa Program gives businesses the opportunity to purchase as much cocoa as they need from a source that adheres to high moral standards. Companies such as Ferrero and Mars have committed to the FCP program, noted a different Confectionery News article, and these companies hope to only utilize fairly sourced chocolate by 2020. While this is very promising, many popular candy names are not included on the list. Fortunately, the Côte d'Ivoire is taking matters into its own hands. As it stands, the world's largest producer of "brown gold" is only in the chocolate business as far as selling the beans. Things are looking much sweeter for the country, however, as it has received multiple offers of investment to create a home-base chocolate factory, reported IndustryWeek. The production and sale of cocoa accounts for about two-thirds of the country's income and employment, noted the source, so it makes sense that the Ivory Coast would like to cash in on the cultivation of the cocoa crop into chocolate. IndustryWeek stated that in the past few years, the Ivory Coast has seen a 9 percent economic growth rate, which indicates that now may be the perfect time to build a chocolate factory in the country. This increase comes off the heels of political uncertainties and military issues, and the government would be making a smart move by investing in the people to handle the plant from start to finish. Should these factories prove successful, the Ivory Coast will no longer have to export its crop only to then purchase finished chocolate for consumption - the entire process will stay within the country boundaries. This is a wonderful first step toward liberation for people in the cocoa community. Perhaps more companies will be willing to be a part of a fair​trade effort once they see that these countries can and will produce their own cocoa and chocolate products. All parts of the supply chain need to be cared for and handled properly, and it would appear that sweet freedom is on the horizon for chocolate purchasing and outsourcing.